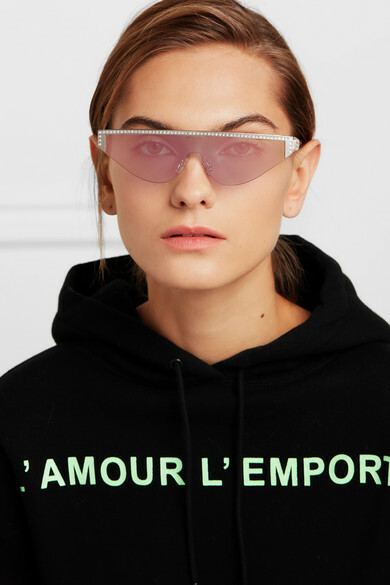 If you read PorterEdit's 'Accessory Update' reports, you'll already know that narrow, futuristic sunglasses are the coolest accessory to be seen in right now. 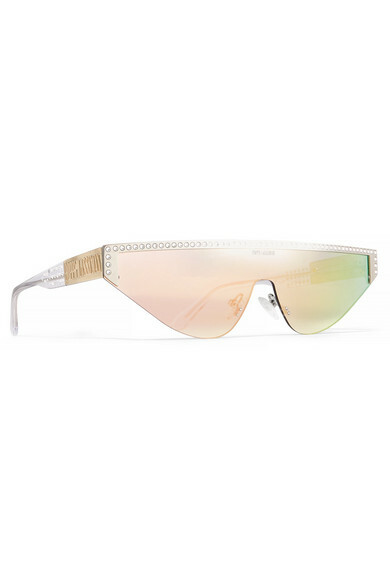 Poppy Lissiman's Matrix-inspired 'Shield' pair is designed with mirrored lenses and a crystal-embellished brow bar. 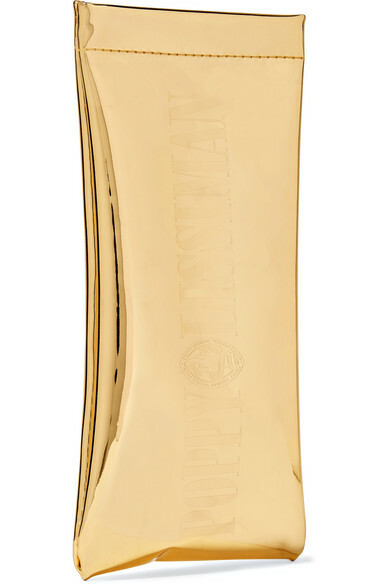 The transparent arms are also decorated with sparkle and the brand's moniker at each temple. Shown here with: Les Rêveries Hoodie.